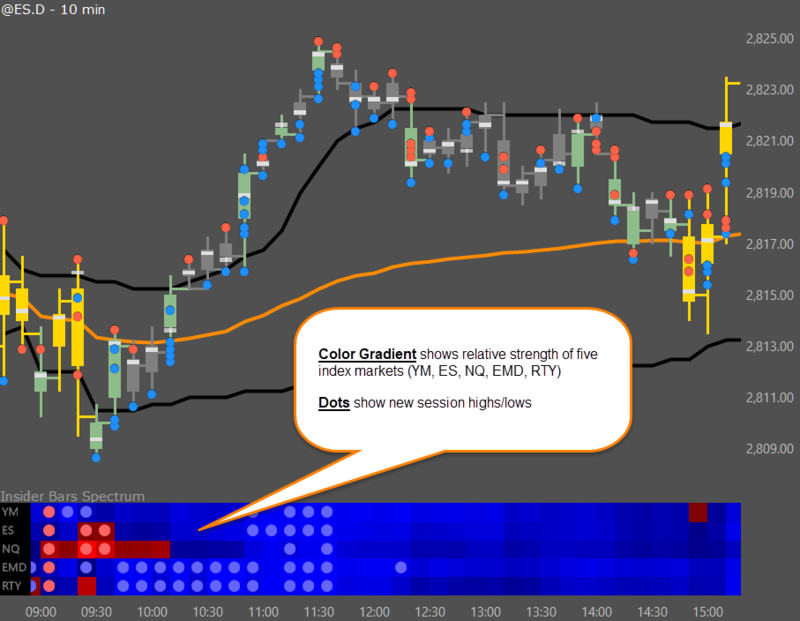 Today I am adding a new indicator to the Insider Bars free add-on package, called Insider Bars Spectrum. Attention OF-G Users: Commencing today, release notes for software updates will be provided via the OF-G Blog rather than by email. Please subscribe by email or RSS to keep up with the latest developments for your product. In recent TradeStation updates, input screens for tradingapps like Time Sales Pro have been opening behind the platform, rather than on top as they historically have. This has been fixed. Insider Bars Users: There is also a little bug fix in the market depth display of Price Vol Pro. 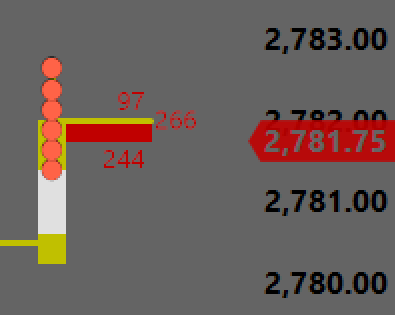 In some instances where market depth updated before the first trade of a new bar, market depth had some display irregularities; these should be fixed now. Also, I am still anticipating a fix for the Insider Bars tick/volume chart – streaming data optimization issue later this month. So stay tuned. The TradeStation TradingApp Store does not permit a software-only subscriber (one without a TradeStation brokerage account) to subscribe to premium products. I’m happy to report that OF-G now offers Paypal-based subscriptions for those without a brokerage account. These are available on a quarterly or yearly basis. Please email if interested. 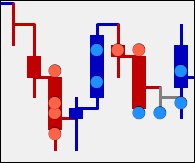 Insider Bars displays text and graphic objects on your TradeStation charts. 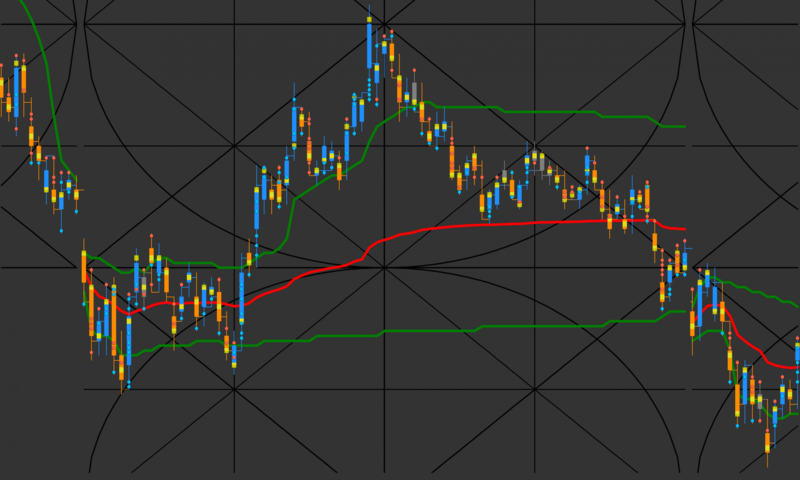 This can be a little tricky, since the number of price points on the screen varies widely depending on the symbol charted and on market volatility. One day you might be able to display text at every price from that day using font size 10, and another day the same font size will have text bleeding together and illegible due to many more price levels being shown on the screen. 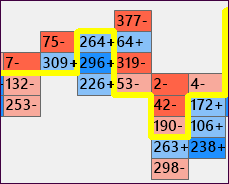 Reprogram your mouse wheel to increase and decrease bar spacing. 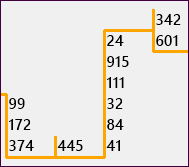 Single Text Text display of various volume options. With the single text option, you can choose to align the text to the right, left or centered on the price bar. 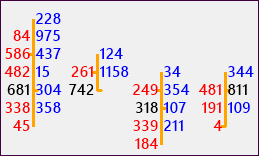 Left + Right Text This example shows downticks to the left of the bar and upticks to the right. 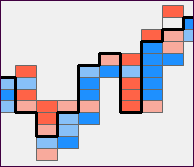 Rectangle This shows rectangles at every price point, with coloring based on uptick-downtick bias. Text + Rectangle Several text display options are available. This shows net uptick contracts – downtick contracts at each price point. 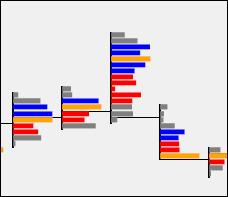 Marker Markers simplify the display, showing extreme bullish or bearish price points with colored arrows, circles or squares. Histogram The histogram options shows relative volume at each price or Auction Point as a horizontal histogram on each bar. You can also display histograms combined with text. Text – Marker Combo This option combines the two. When bar spacing is wide, text is displayed. But if you decrease bar spacing, the display switches to Marker.